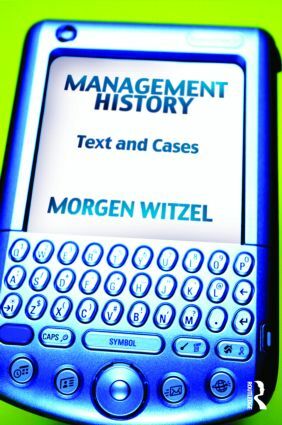 Management History is not simply a book about the history of business or even the history of management. The goal of this book is to demonstrate that despite the relative newness of management science as an academic subject, management has been around since ancient times. Through understanding the history of management - both in practice and theory - one is able to approach the complex and challenging problems of modern management from a new perspective. The book not only traces the development of management from history to the present day, but also examines the way this evolution impacts how management is practiced today and how it may develop in the future. It incorporates case studies from around the world cutting across a range of time periods, from the Egyptian royal tomb builders of Deir el-Medina, to H.J. Heinz, Cadbury Brothers and Tata Steel. Management History is ideal for instructors wishing to incorporate historical content and analysis into management education courses, modules, and training programs, particularly at the MBA level and higher.